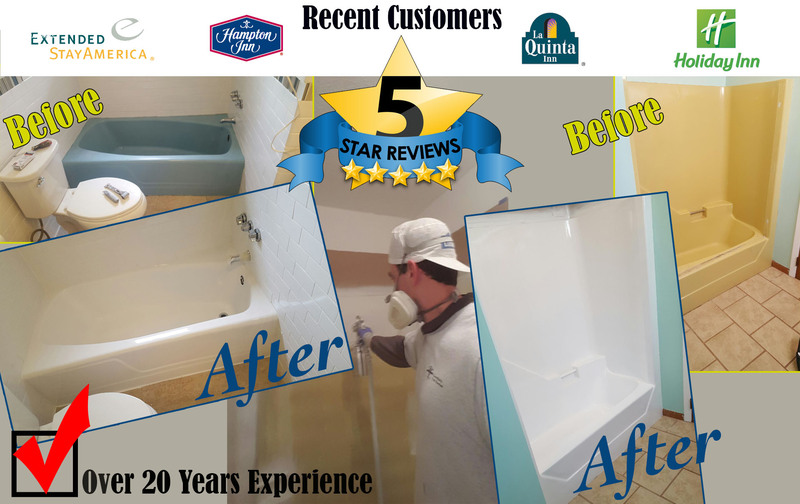 22 YEARS Bathtub Refinishing Experience! One unexpected expense that catches many homeowners off guard is when they need to replace their bathtub. Most new bathtub installations cost nearly $3,000 and can be even higher depending on the type of tub purchased, as well as the hassle of hooking up the plumbing. As a result, many homeowners merely ignore their worn out bathtubs, allowing it to continue growing soap scum, mold, and mildew without the protective layer to keep them at bay. A safe, effective, and affordable solution to replacing your bathtub with a new expensive one is with quality bathtub refinishing services. 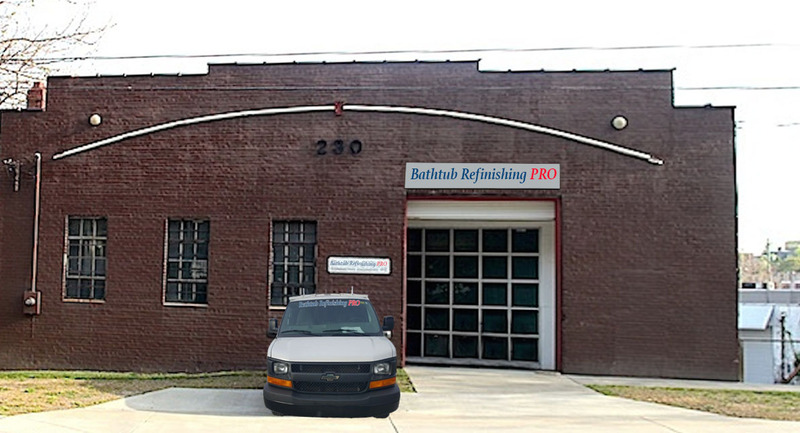 For over 22 years, Bathtub Refinishing Pro has been offering more homeowners a better alternative to pricey replacement services. When you need to save more on a better bathtub and shower replacement experience, just call us and save more. With over two decades of experience servicing our community, we have become the premier choice for more area homeowners. 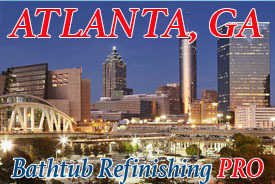 We service three are locations, bringing refinished bathroom fixtures closer than ever before. 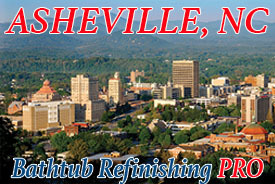 With fast, dependable service in and around Asheville, NC, Atlanta, GA, and Knoxville, TN, no one offers a better-refinished tub than our company. Another reason that we are the popular choice for more residents is that you cannot beat the pricing that we offer. 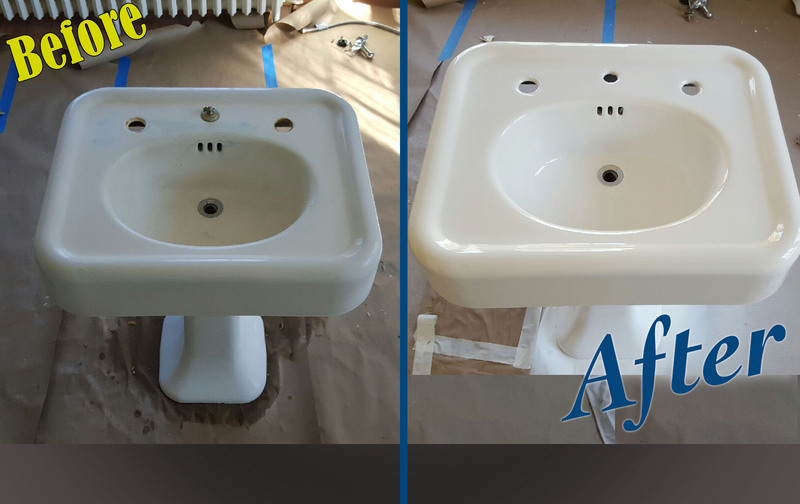 Our refinishing services are far cheaper than a replacement unit, and we can restore your fixtures to their like-new status in no time at all. In a fraction of the time and budget that you would set aside for a complete bathroom remodel, we can give you a better tub finish without removing your existing unit. And more bathroom repair and refinishing solutions. 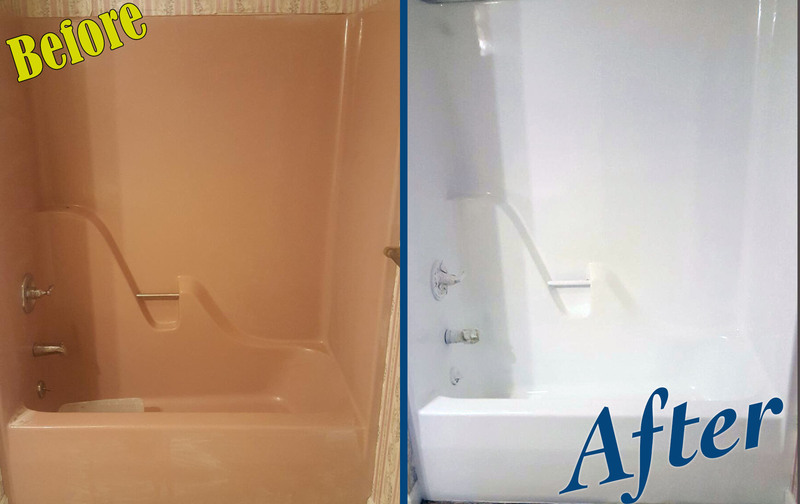 From unsightly chips and scratches to total surface removal, we can help restore any bathtub or shower that you may own. Call our team today and experience the best choice in local tub resurfacing services. Some homeowners are unsure what tub reglazing consists of and if it is something that would benefit them. Simply put, refinishing a bathtub restores the top enameled layer of coating so that even the most worn down bathtub can continue to be used and still look great. 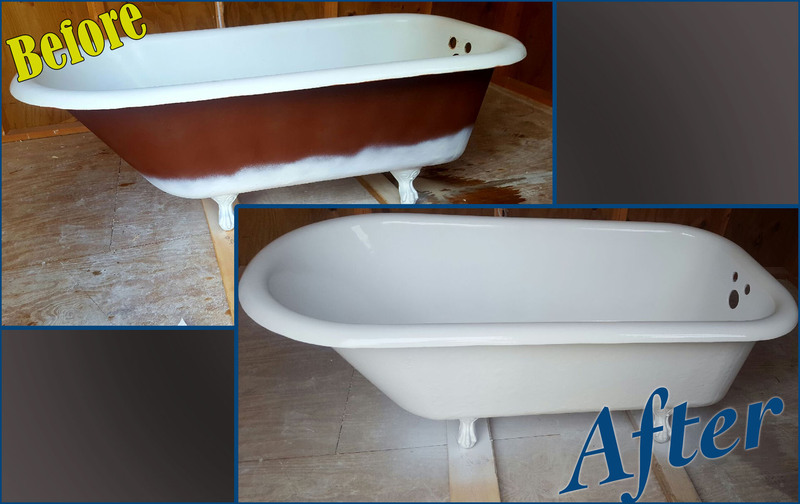 By utilizing a variety of polymers, adhesives, acids, and other professional plumbing resurfacing materials, we can restore any aged tub to like-new condition once more. 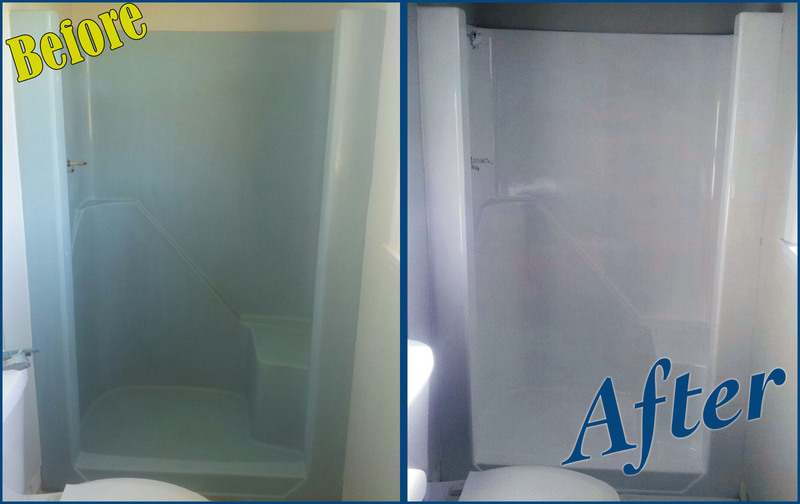 While some restoration services only handle bathtubs, we also include refinishing services for shower stalls as well. Even if your shower is not connected to a bathtub, it may be a candidate for reglazing. The stall of the shower is similar to the composition of a bathtub, with some form of enameled finish overlaying the stall itself. As you use it to shower every day, this outer coating wears away, making it easier to slip on, as well as making it harder to keep clean. For a better option over a full remodel or to pay to have a new shower installed, allow us to refinish your shower stall today. Some bathtubs are damaged, but not enough to warrant a full reglazing process. However, who do you turn to when your bathtub has cracks, pieces of enamel missing, or other damage? In addition to the best resurfacing services, our company offers professional tubs repair options as well. 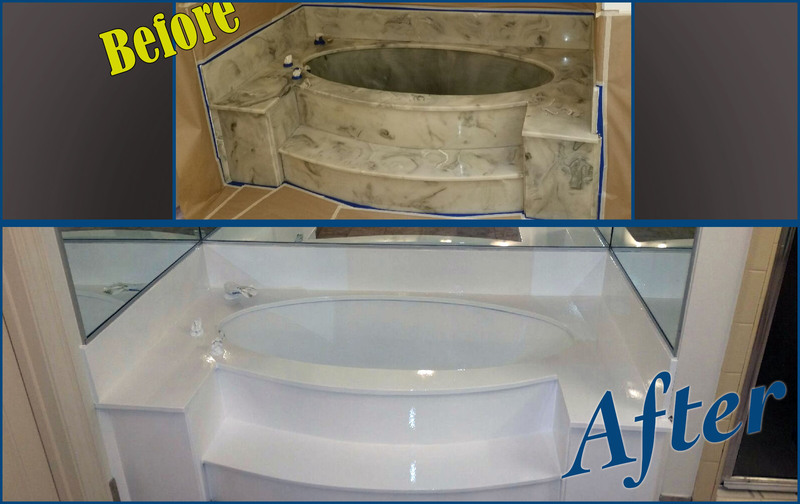 With a better repair service, we can handle most bathtubs regardless of composition, including porcelain, fiberglass, acrylic, marble, and more. Although showers and shower stalls are a convenient addition to most bathrooms, their heavy use makes it an easy target for damage. Not only are damages to the shower’s surface unsightly, but they are dangerous to ignore as well. When you need someone to repair your showers the simple way, let us help you. We can fix most shower makes and models, giving you a better service option that costs less. Before you struggle in replacing your showers, let us help you with affordable shower resurfacing. For many years national franchises have emerged, offering a cheaper alternative to bathtub resurfacing and shower refinishing services. However, their process leaves much to be desired. Not only do they often resort to “one size fits all” service options, but they also may not achieve a tight waterproof seal like your bathtub or shower had when it came off of the factory line. Another reason to avoid these pricey national alternatives is that they frequently sub the work out to cheap contractors. As a result, you may wind up paying even more so that the parent company can receive their cut, and in the end, you wind up with a less than ideal finish. For what you would spend with this lower quality refinishing service providers, you would more than likely be able to renovate your bathroom and achieve better results. From rushed chemical applications to taking unnecessary shortcuts, it is easy to see why so many “finished” jobs from these companies wind up leaking. The clear difference in choosing our team is that we handle all of our own repairs in all three different cities. We find talented field technicians in each community who has the knowledge and experience that you can rely on for a great repair or refinish job each time. This way, no matter what area you may live in, we can guarantee that you will love our results. Having better technicians means better service every time you call. With better quality results, more refinishing services, and lower pricing than anyone else, Bathtub Refinishing Pro is always the right choice for any plumbing fixture repair need that you may have. 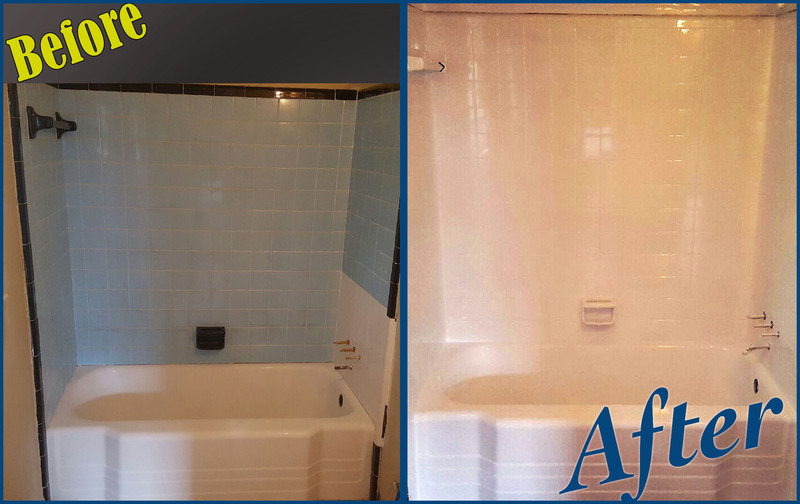 Call our company today and schedule your best repair and we will restore your bathtub or shower to looking as good as it did when you first had it installed.